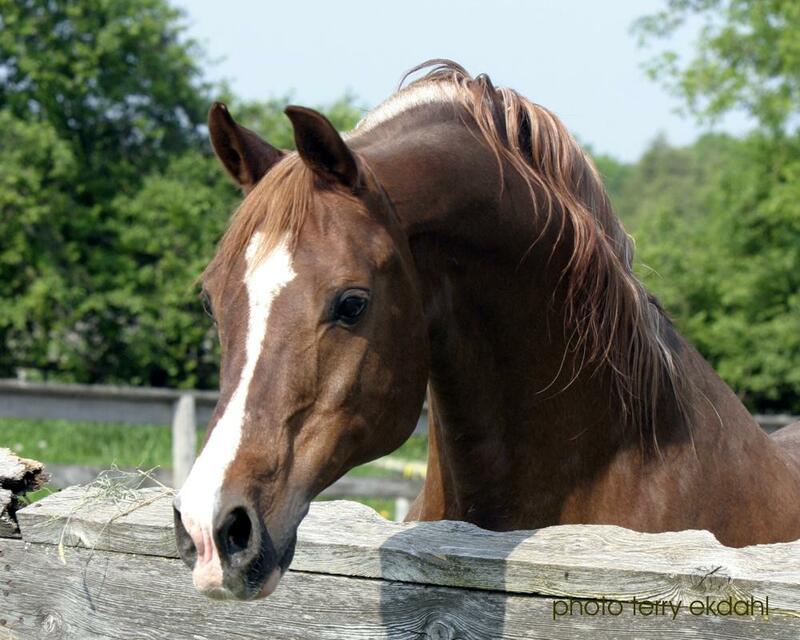 It is with heavy hearts that we must tell you of the passing of our beloved Amurath Baikal. 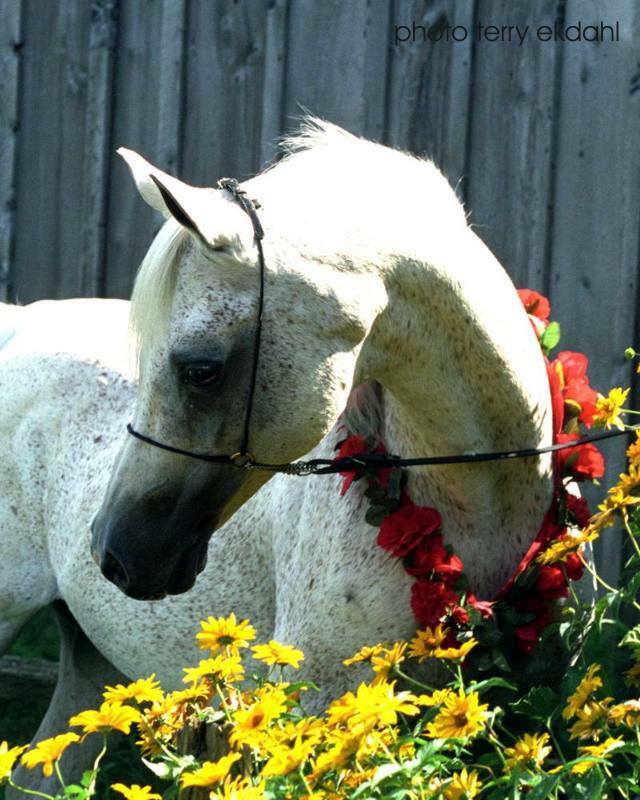 This beautiful horse was very special indeed. From the eliteness of his pedigree ( a son of *Sanacht - the second all time leading dam of Champions of the Arabian breed and by the incomparable *Bask) to his success as a show horse (1980 US Reserve National Futurity Champion Stallion) to his success as a sire (JK Jedi, Autumn Myste, Earl Grey++/, Amurath Muntahi and his many other sons and daughters treasured by so many around the world). 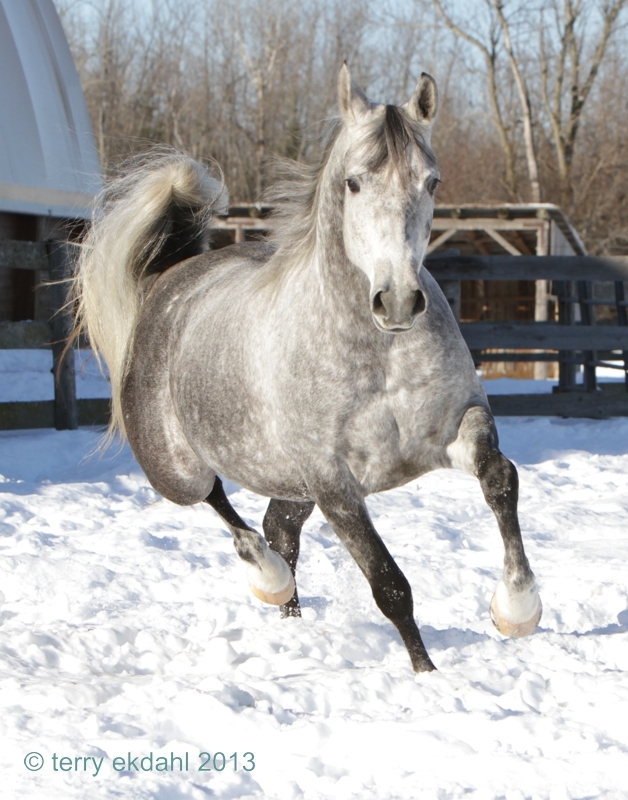 But mostly Amurath Baikal was so special because he epitomized what the Arabian horse should be: he was beautiful, extremely typey, dignified, elegant and had so much heart. It was this heart that enabled him to live such a long fruitful life. It was a joy just to be able to look after him for so many years and to be greeted by his beauty every day. 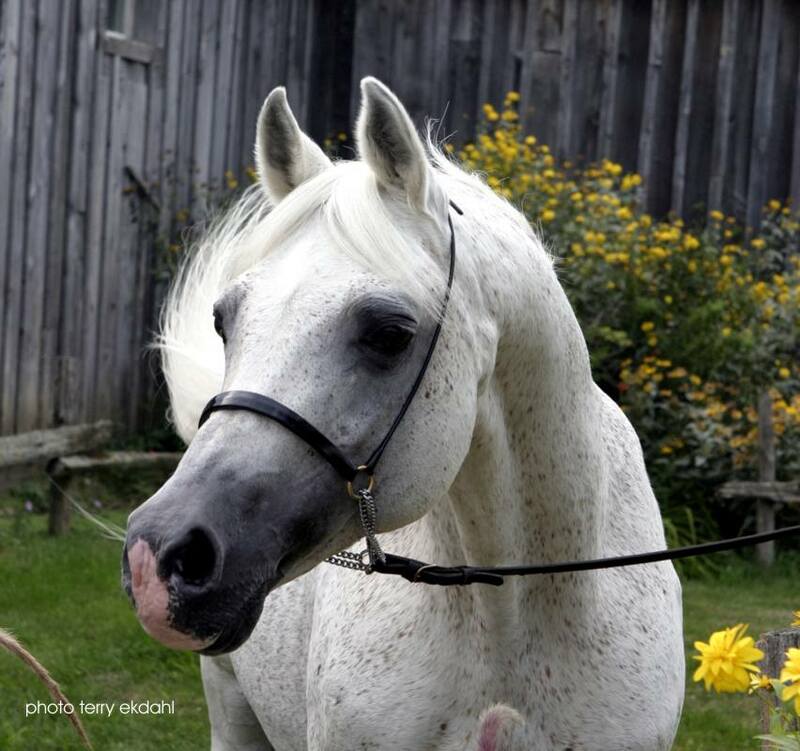 It was an honour to know that he was known by people world wide and respected for the beautiful, noble horse he was. 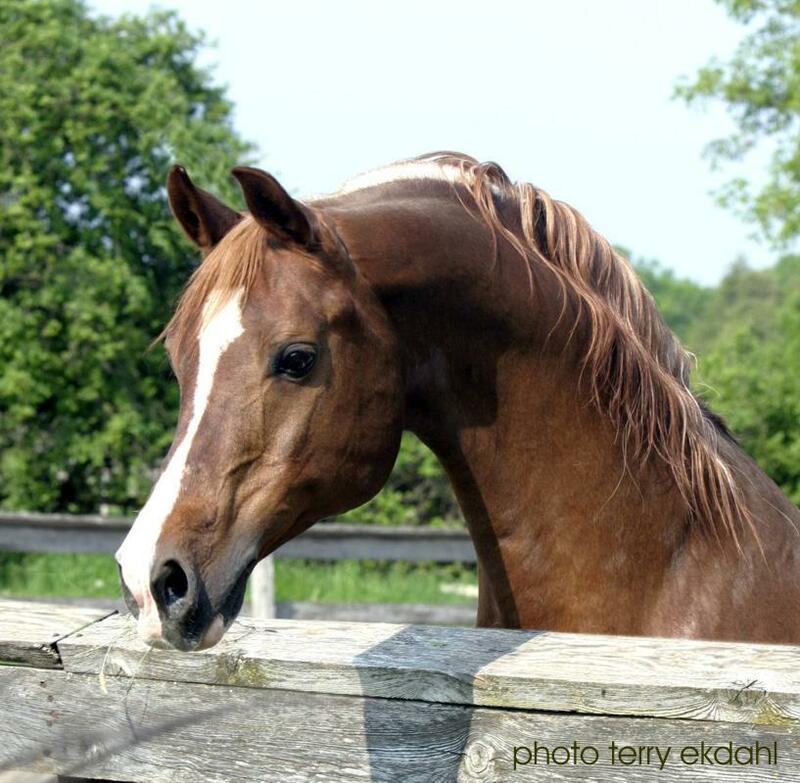 We will always miss him terribly, but are at peace with the fact that for his entire life he was loved by everyone who was privileged enough to be able to care for him and was always treated with the most respect and love that any horse could want. We are indeed fortunate to have his beautiful son, Earl Grey++/, and daughter, Simply The Best to carry on the Baikal legacy for us. We were very proud of our Bey Shah+ daughter, N.V. Masira. Masira's dam Shantu+, was a US Top Ten English Pleasure horse. An extremely accomplished show mare herself and an outstanding producer. 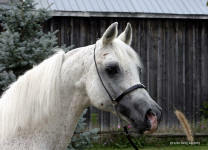 N.V. Masira was a Canadian National Top Ten Halter Champion (at age 3! 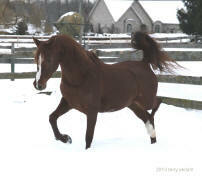 ), Star World Reserve Champion Mare, Region 13 Champion and Region 18 Reserve Champion Mare. She was also a multi Champion English Pleasure Horse. 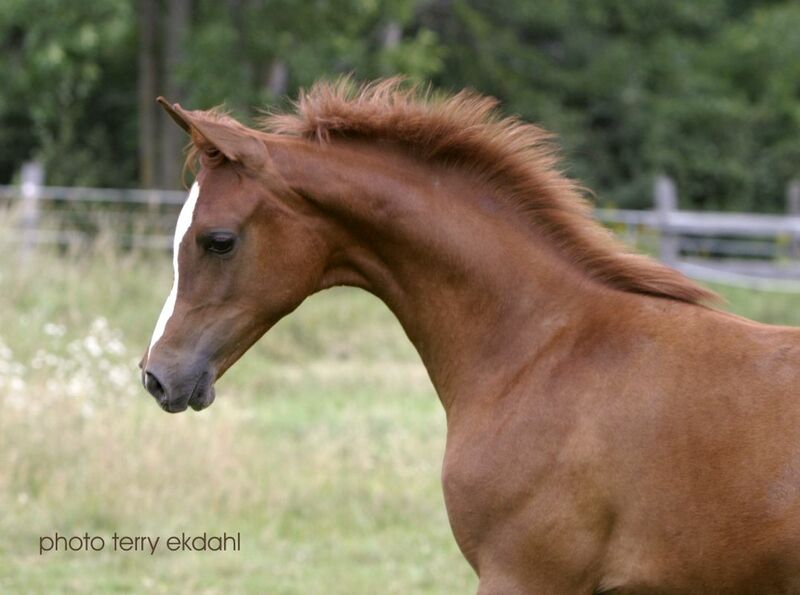 Masira is a full sister to Bey Maraba - US and Canadian National Top Ten Mare. Masira had eight fillies and two colts for us. 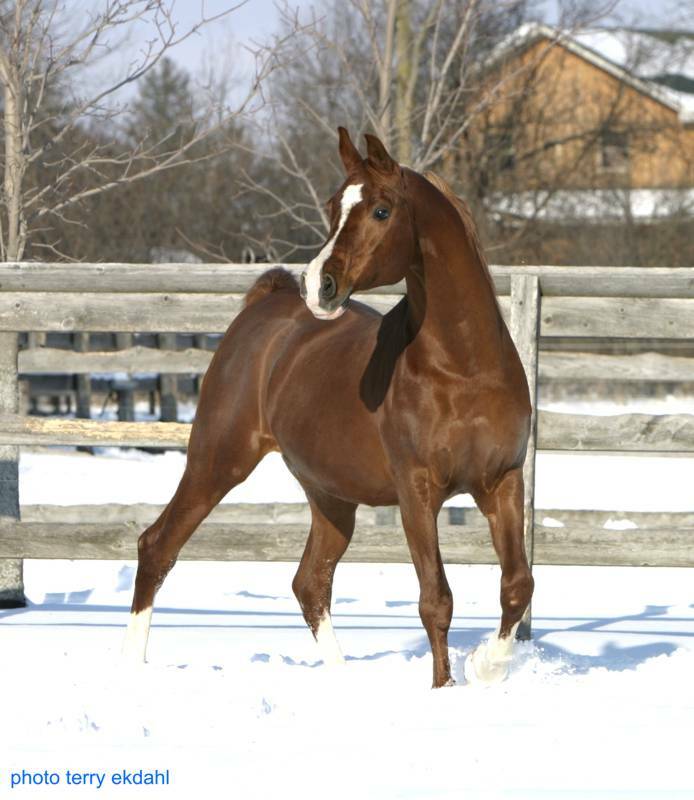 Her life long partner was Amurath Baikal with the exception of the year 2000 when she was bred to Afire Bey V. The resulting filly, Hearts Afire RF was Eastern Canadian Breeders Champion Purebred Yearling Filly and unanimous Region 16 Champion Country English Pleasure both Open and AOTR. Three of Masira's Amurath Baikal daughters have been shown: Simply The Best - Region 16 and East Coast Champion Mare, Region 18 Top Five Mare; Simply Irrisistable - Champion Mare, AOTH Tulip Arabian Horse Festival (only time shown); and Silent Wings - 1998 Region 15 Top Ten Yearling Sweepstakes Champion (32 fillies in the class) and Junior Champion Yearling Filly, NY Summer Festival. 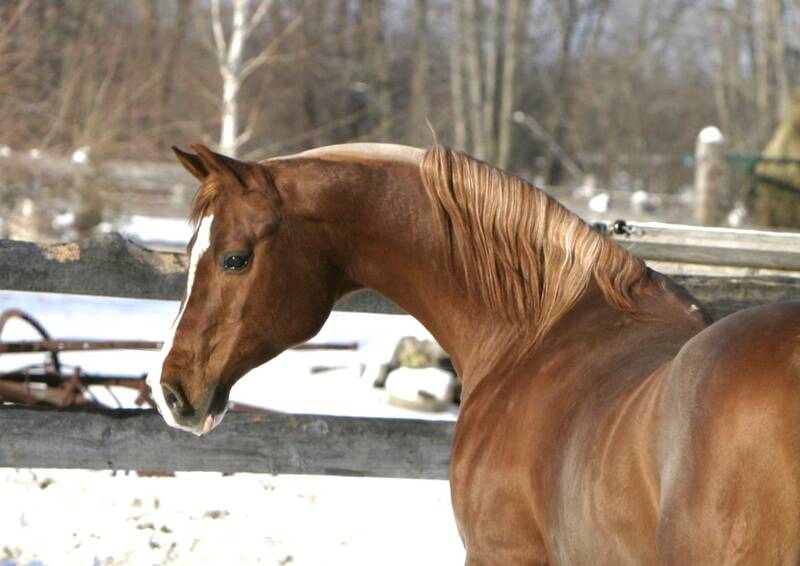 Another one of her daughters, Simply A Lady, is a successful competitive and endurance horse. 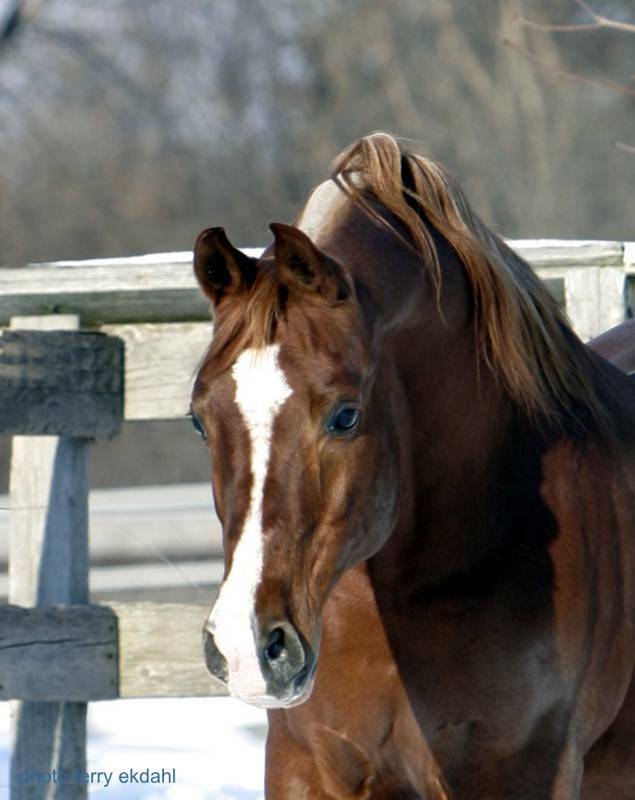 Masira's last baby to foal was a wonderful bay Amurath Baikal filly in 2004. 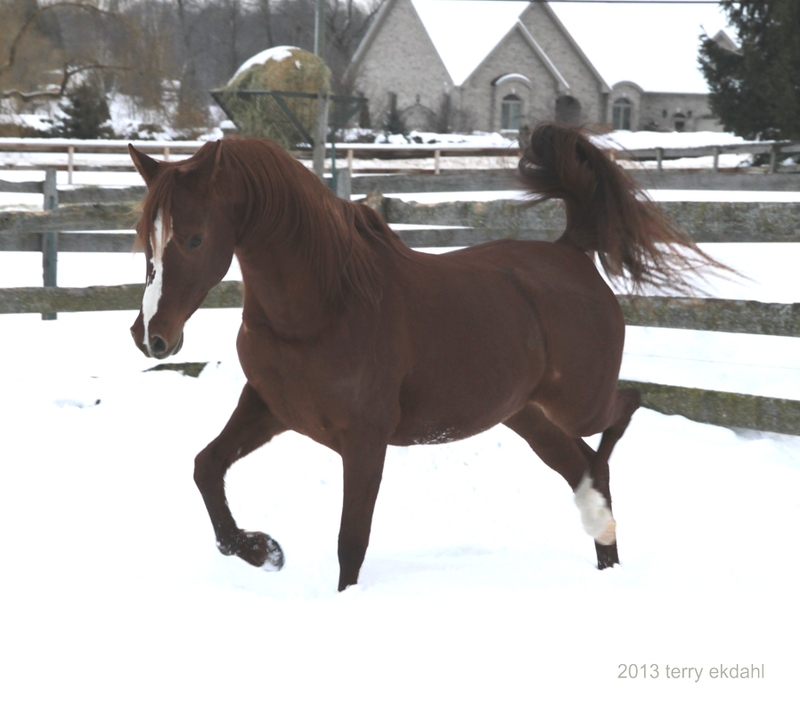 Her name is China RF and she now makes her home with Gisela and Walter Mantler of Wheatley, Ontario. Pomerol was remarkably like his sire, *Padron - tall, beautiful, extremely long necked and possessing just the most wonderful disposition. 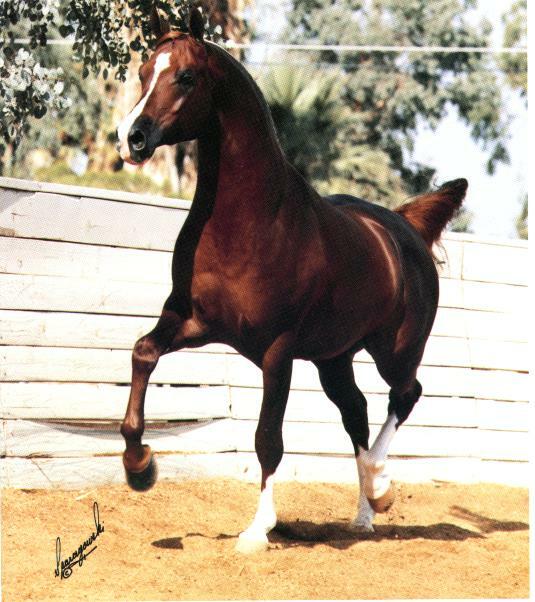 As a young horse he was Grand Champion Stallion every time out - including the prestigious Santa Barbara Fall Show, shown by Mr. Michael Byatt. 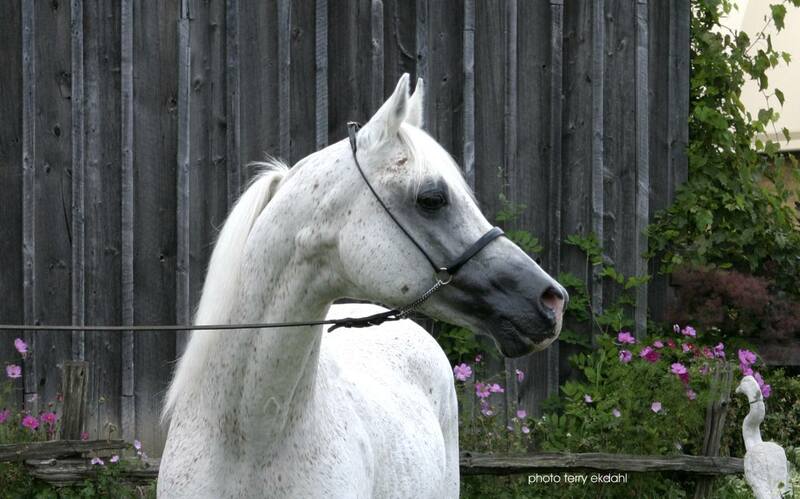 He was just beginning his performance career when an unfortunate work injury ended his days in the show ring. 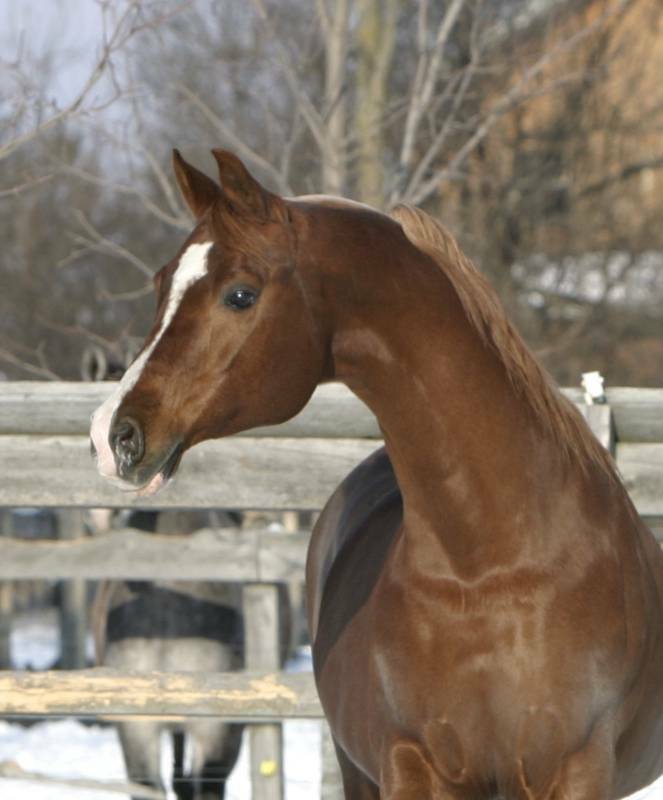 Probably one of the only *Padron sons out of a *Salon daughter and had much to offer the Arabian breed. 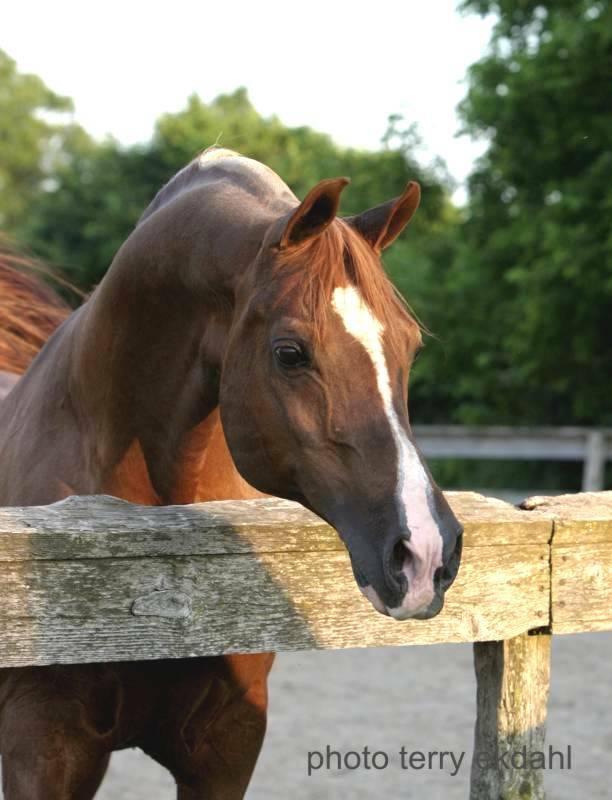 In spite of his early setback he carried on, quietly breeding quality foals that have excelled in a broad range of disciplines including halter, english pleasure, country english pleasure, western pleasure, native costume and dressage. At Midwest, our decision to purchase this horse became much easier when we saw three-year-old Colton Boggs call the horse to him. Pomerol quietly walked over, dropped his muzzle and allowed himself to be led around the arena at the end of a six-foot lead shank!! (see photo on Special Moments page). (above) ...One of Pomerol's babies still here on the farm - Simply Unique RF (out of Simply The Best). 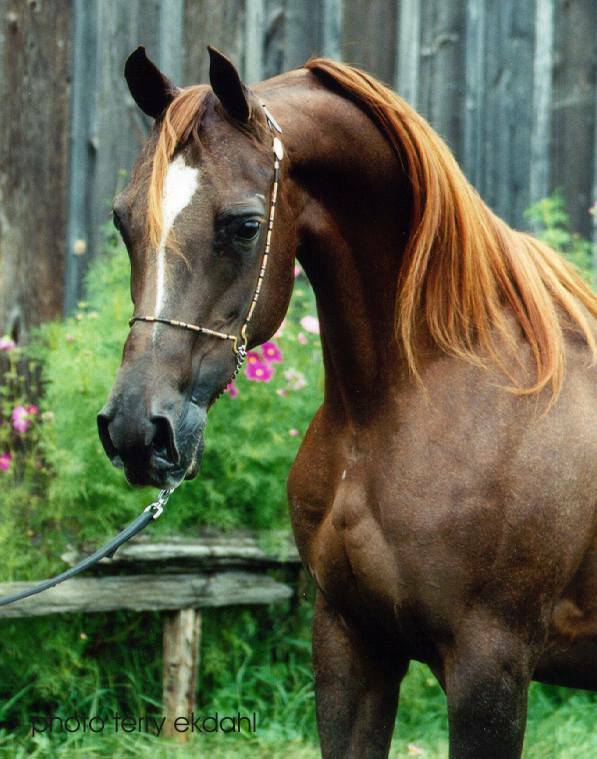 ...see more of "Nikki" by going here ...and this is Leslie Lloyd's mare Wildflower, out of an Amurath Baikal Half Arab daughter, "Bailey"